Back in 2010, Hubby and I drove to Hillsdale College in Michigan for Hillsdale Hostel. We spent a week on the road getting there, the week there, and a week getting back. 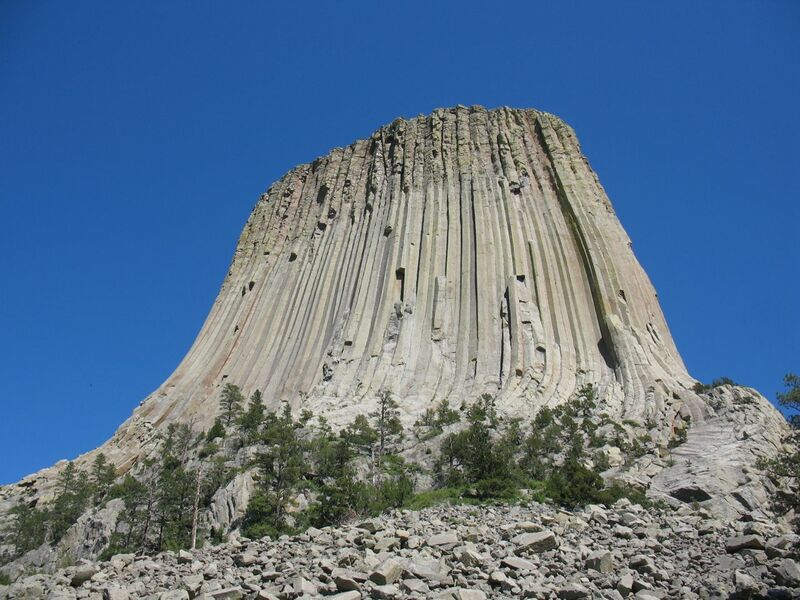 On the way from Everett, Washington to Hillsdale Michigan, we passed through Wyoming, and stopped at Devil’s Tower National Monument. Here are a couple of the photos I took of this volcano remainder. All that’s left of the ancient volcano is the Columnar Basalt that results when volcanic magma cools into roughly hexagonal columns. Isn’t it beautiful? 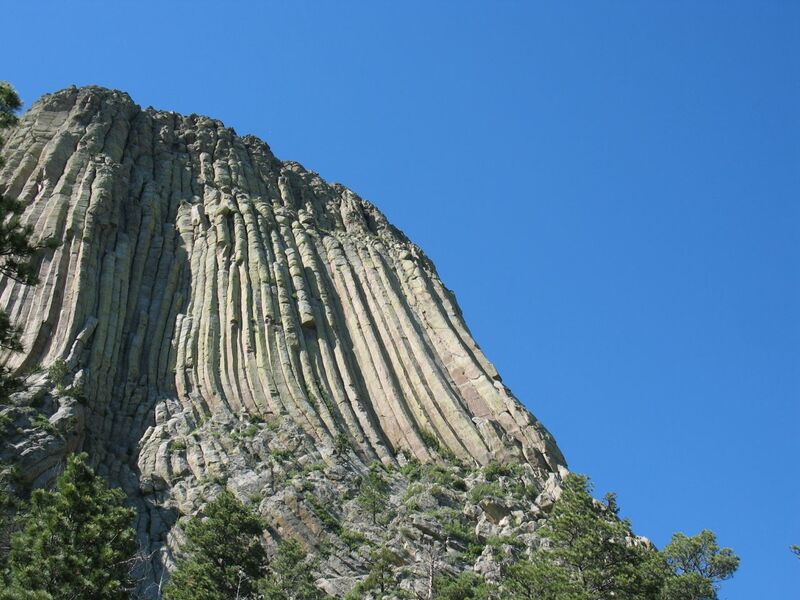 View of Devil’s Tower National Monument, Wyoming.